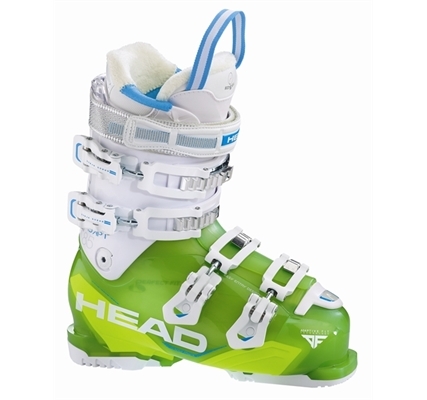 Head women's intermediate/ advanced boot, its 104mm last gives a good generous toe box fot those with wide rather than super wide forefeet. 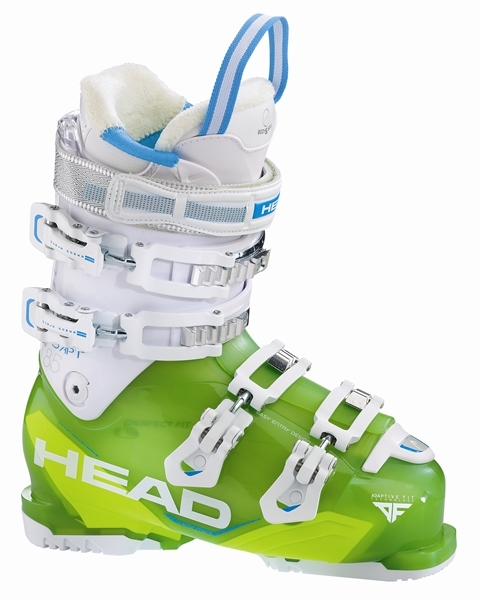 The 85 Flex is firm enough to provide good support even at higjh speed and will suit all but the out and out 'piste charger'. In transparent green and white with fleece lining.